Through funding provided by the National Anti-Drug Strategy, the Renewal process was initiated in 2007. This process has involved a wide range of activities aimed at informing a renewed approach to community, regional and national approaches to programming, including regional needs assessments, research papers, regional workshops, website feedback, and knowledge gained from other key Renewal information sources. Based on the information gathered throughout this process, the First Nations Addictions Advisory Panel developed Honouring Our Strengths: A Renewed Framework to Address Substance Use Issues among First Nations People in Canada in 2011. This framework describes an integrated, culturally-relevant, client-focused system of services and supports for addressing substance use issues for First Nations. In 2010, the NNADAP Renewal Leadership Team was formed in order to coordinate ongoing and meaningful implementation of the Renewed Framework. Similar to the First Nations Addictions Advisory Panel, the Leadership Team is supported by the national partners in Renewal – Assembly of First Nations, National Native Addictions Partnership Foundation. The focus of the team is to exercise leadership in guiding the implementation of a renewed framework to promote well-being among First Nations people in Canada by addressing the range of substance use and addiction issues. Guiding Principles for the framework were established based on the guidance of cultural practitioners and Elders at the NNADAP Renewal Indigenous Knowledge Forum and through regional workshops on the framework. These principles serve as the foundation of the framework, and will guide the efforts of the Leadership Team in the years to come. 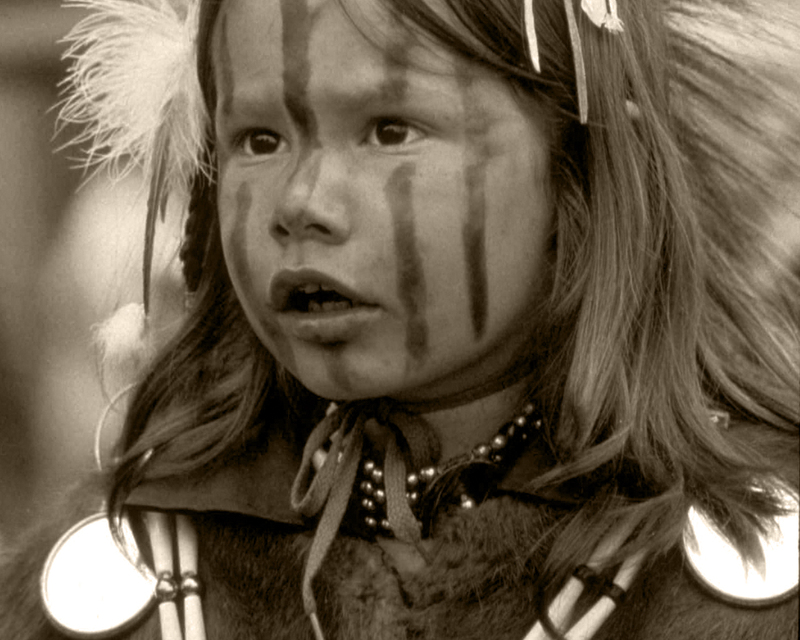 Spirit-Centered – Culture is recognized as the outward expression of spirit, and revitalization of spirit is central to the health and wellness of First Nations people. System-wide recognition that ceremony, language and traditions are important for focusing on strengths and reconnecting people with themselves, the past, family, community and land. Connected – Healthy family, community and systems are built upon strong, lasting and mutually beneficial relationships. Connections between Indigenous people to the land, culture and each other, as well as relationships between sectors are the building blocks for services and supports that are comprehensive, holistic and integrated. Resiliency-Focused – While trauma contributes substantially to both addictions and mental health, there is a need to recognize, support, and foster the natural strength and resilience of individuals, families and communities. These strengths provide the foundation on which healthy services, supports, and policies are built. Holistic – Services and supports that consider physical, spiritual, mental, cultural, emotional and social well-being throughout the lifespan with particular attention to the need for balance between these areas. This involves recognition that individual wellbeing is strongly connected to family and community wellness. Community-focused – It is necessary that communities own control over the design and delivery of services, and see themselves as their own best resource. Community-level services designed, delivered and governed by communities increases overall system responsiveness to the factors that make each community unique. Respectful – Respect for clients, family and community should be demonstrated by engaging them in the planning and provision of services, by upholding their freedom of choice and by balancing their needs, strengths and readiness with the needs of their families and communities. Balanced – Respectful inclusion of both Indigenous and Western forms of evidence and approaches in all aspects of care, including service delivery, administration, planning and evaluation. At the same time, maintaining awareness that each is informed by its own respective knowledge development processes, its own worldview, and the assumptions it makes about health and well-being. Responsibility and Accountability – System-wide recognition of self-, shared- and collective- responsibility in promoting, fostering and sustaining the health and well-being of First Nations people. This begins with individuals managing their own health and extends to families, communities, service providers and governments, who all have a shared responsibility for ensuring services, supports and systems are effective. It recognizes the interconnectedness of individuals, families and communities and focuses on the outcomes of actions on not only ones self but also on future generations. Culturally Competent – Cultural competence must be a cornerstone in the provision of services to First Nations people, and must guide all aspects of the system, both on- and off-reserve. Cultural competence requires that service providers are aware of their own worldviews and attitudes towards cultural difference, and includes both knowledge of, and openness to the cultural realities/environment of the clients they serve. To support cultural competence within the system, it is also necessary for Indigenous knowledge to be translated into current realities so that cultural principles and cultural knowledge meaningfully informs and guides direction and delivery of health services and supports on an ongoing basis. Culturally Safe – Services, both in Indigenous or non-Indigenous environments, recognize the cultural diversity within First Nations and aim to competently relate to individuals, families and communities in consideration of, and in relation to, their social, political, linguistic, economic and spiritual realities. This extends beyond cultural awareness and sensitivity within services, and includes a process of ongoing self-reflection and organizational growth with the goal of understanding how cultural background, historic and structural contexts, social inequality and power relationships influence services and supports. Ensure the renewed program aligns with the principles of the Mental Wellness Strategic Action Plan (draft). Members of the Renewal Leadership Team have committed to a two year term that will be complete in November of 2012, with a possibility of extension. Partners are responsible to represent their region/stakeholders and maintain regular communication with: Regional Partnership committees, First Nations and Inuit Health Regions, NNAPF’s board, NNADAP/YSAP network, AFN’s regional health technician network, the Mental Wellness Advisory Committee, and other relevant partners. Leadership Team members were identified by the partners in Renewal – Assembly of First Nations, National Native Addictions Partnership Foundation, and Health Canada. The Team’s membership includes a broad range of representatives from prevention, treatment, culture, youth, women, policy, health, nursing, public health, research, and various geographic locations. The team also includes a Health Canada First Nations and Inuit Health representative, as well as First Nations Addiction Advisory Panel members. The Team includes three First Nations Elders – selected by NNAPF, AFN, and the Elder from the First Nations Addictions Advisory Panel – to oversee all meetings and to provide wisdom, insight and spiritual guidance. The chairs are responsible for building consensus among team members in directing the renewal process. Members will provide guidance to the renewal process based on their experience and expertise, and, in doing so, are asked to make every possible effort to attend meetings to contribute to, and be advocates for the renewal process. Should a team member be unable to fulfill these responsibilities, they will provide notification to the chairs and assist with finding a suitable replacement. The replacement will be selected by the secretariat based on the guidance of the resigning member and the leadership criteria that was used to establish the renewal team. Secretariat support will be provided (shared) by FNIHB, the AFN and NNAPF. It will include: coordination of meetings, compilation of background materials, drafting of agendas, drafting of meeting summaries, and follow up on action items. Team members are responsible for providing the Secretariat with background materials in support of specific agenda items on a timely basis in advance of the meeting. The frequency of meetings will be determined by the Team. If possible, draft agendas and background documents will be circulated electronically to members three (3) weeks in advance of meetings. Excluding Government of Canada employees, NNAPF is responsible for members’ costs related to travel/accommodation for Leadership Team meetings, following current Treasury Board Travel Directive (http://www.tbs-sct.gc.ca/pubs_pol/hrpubs/tbm_113/menu-travel-voyage_e.asp) (URL). Meeting summaries will be circulated by NNAPF, FNIHB and AFN through their relevant networks. The NNADAP Renewal Leadership Team will endeavour to provide guidance by consensus after reviewing and discussing information presented at the meetings or by other means of communication. In a situation where there is a lack of consensus, the leaders/chairs commit to finding resolution that meets the interests of First Nations communities.